I see breakfast as the perfect blank canvas for peanut butter smothering. Lately, however, I've been doubling up the peanut butter goodness by ensuring my peanut butter canvas was also full of peanut buttery goodness. Because, I mean, can you ever have too much peanut butter? Is that even a thing?! 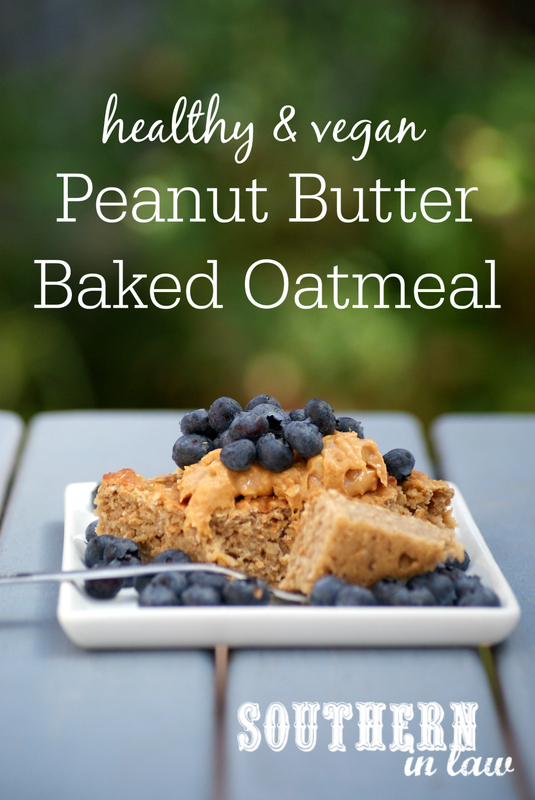 This baked oatmeal really is made for smothering with peanut butter and toppings. It's just dense enough (we're talking Goldilocks science here, friends) whilst still moist and filling and I could go on all day. If protein is your jam, I've got you covered too! 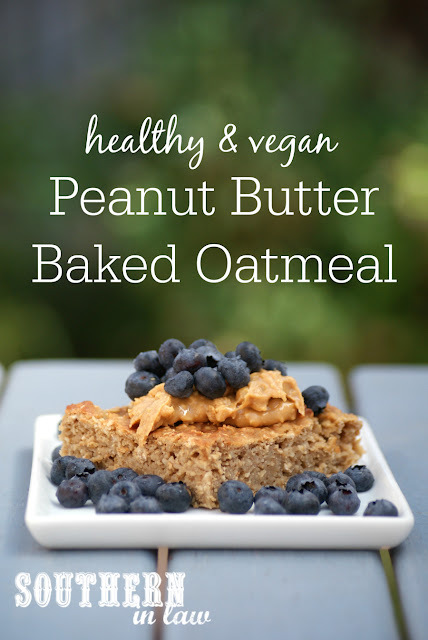 Making this with my beloved peanut flour will ensure every single slice has a whopping 16g of protein per slice! And that's vegan plant based protein because these babies are also completely gluten and dairy free! 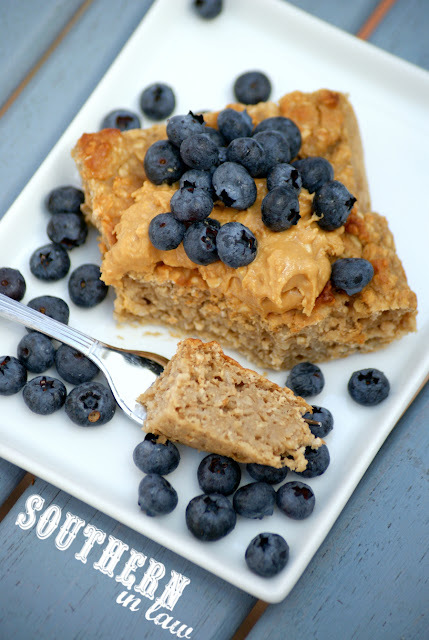 Mix together your applesauce, peanut flour (or peanut butter), milk and maple syrup. 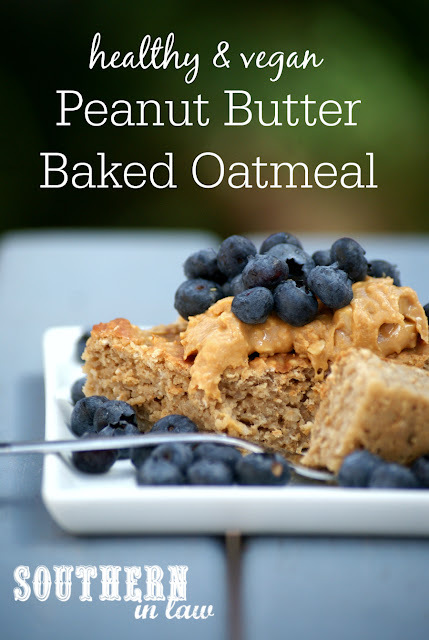 Add in your oats, baking powder and baking soda and mix until combined. Pour your mixture into your prepared tin. Once all of your mix is in the tin, smooth it with a knife or spatula to ensure it's evenly spread. Bake for 15-25 minutes or until cooked through (baking time will vary depending on the thickness of your baked oats). Allow to cool before slicing and serving. Enjoy on their own or with toppings of your choice. Use more/less maple syrup depending on how sweet you like things. We don't like our baked oatmeal too sweet and tend to use 3 tbsp. *Find out more about oats on a gluten free diet. **If you don't have or don't want to use peanut flour, you can switch this for 1/4 cup peanut butter - just take out 1/4 cup of milk in the batter. But tell me, sweet or savoury breakfasts? What's your current breakfast fave?